A Mid-Michigan man is dead after what authorities are calling a freak accident. Police say a tree fell on his car just before 8:00 Monday morning. A Mid-Michigan man is dead after what authorities are calling a freak accident. Police say a tree fell on his car just before 8:00 Monday morning. The 32-year-old was killed when the tree snapped off and fell onto his car. Authorities say this was a wrong place, wrong time situation, but neighbors claim it could have been prevented. 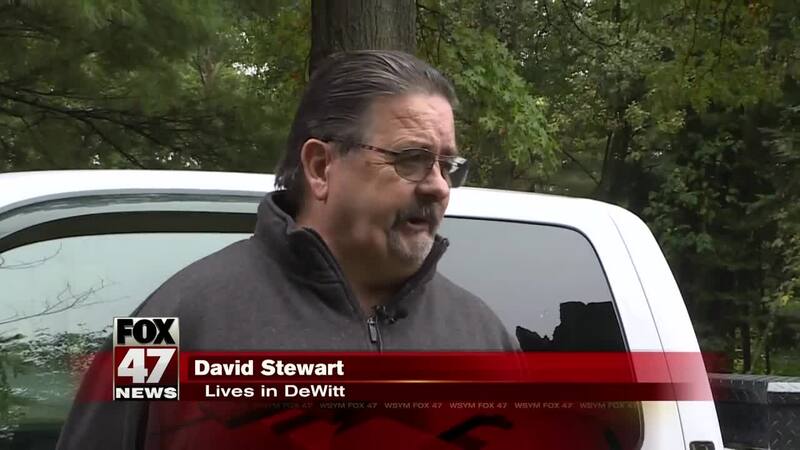 "Somebody died that didn't need to," David Stewart said. Stewat drives on Webb Road frequently. He says the Clinton County Road Commission cleaned up limbs from this tree when the wind knocked them down about a month ago. He said he asked workers to remove the tree itself. "I said, 'the whole tree is rotted. The whole thing needs to come down.' And they said they well, we'll get with whoever they would report to and get back with me or get back and take care of it. And its quite obvious they never came back and took care of it," he said. Mike May lives just down the street from where the tree fell. He and his wife have been driving out of their way to avoid the tree. "Every time we go by it, its like is it going to come down or not? You know, you fear for your life," May said. May says neighbors have called and written letters trying to get the road commission to remove the tree. "It could have been anybody on this road you know? And like I said, the sad part is that it probably could have been addressed and taken care of and a tragedy like this wouldn't have happened," May added. News 10 reached out to the Clinton County Road Commission, they said they were looking into the matter to see of the tree was their responsibility. They also added that they have about 1,200 miles of road in the county with trees lining a lot of them. News 10 will keep you updated on this investigation.